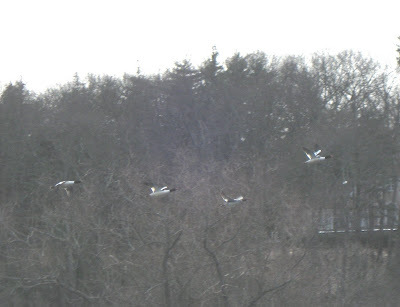 While trash patrolling the Sudbury River between Rt.62 and Heaths Bridge (Sudbury Rd.) today, I noticed this damage to the Route 2 overpass near Emerson Hospital. Concord Police were notified and they're going to contact Mass Highway. Hopefully, the damage is only decorative and not structural. It was kind of a weird day out on the water. In the brightening sky, the sun had a large ring similar to a rainbow completely surrounding it. The wind was still blowing out the north with a wintry bite. However, once out of the wind, the building warmth from the sun had a springlike feel. Kinda in between! Thanks to the high water levels, floating trash was plentiful and accessible. A considerable amount of trash was gathered from alongside Route 2 near the wildlife underpasses. It may be more effective if translated into the same langauges as the "Do Not Eat the Fish" signs nearby. The total count for the day was 94 pieces of trash. Of these, 35 were recyclable (21 redeemable) and 59 were miscellaneous rubbish such as plastic bags, styrofoam in multiple forms, and some paper/cardboard. My YTD total stands at 579. I've no idea why, but this morning I awoke thinking of my favorite passage from Thoreau's Week on the Concord and Merrimack Rivers..."By noon we were let down into the Merrimack through the locks at Middlesex, just above Pawtucket Falls, by a serene and liberal-minded man, who came quietly from his book, though his duties, we supposed, did not require him to open the locks on Sundays. With him we had a just and equal encounter of the eyes, as between two honest men." Wow – eagles – that’s pretty cool. They seem to be showing up in more and more places. 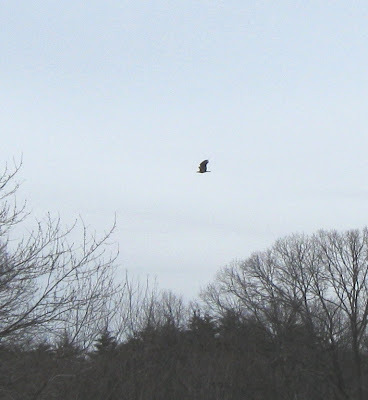 I understand a pair has been seen a couple of times in southern RI. Hey I did some trash picking yesterday on the Blackstone Canal in Lincoln, RI. My count doesn’t compare to your – 15 pieces of trash of these 13 were recyclable and 2 were miscellaneous rubbish. It’s a start. Congrats fellow trash paddler! 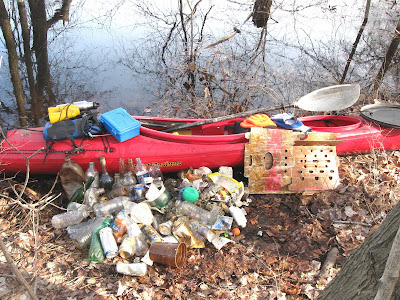 The Blackstone Canal is definitely cleaner for your efforts. Only fair to warn you, though, it can become addictive! Thanks for your efforts on cleaning the river. 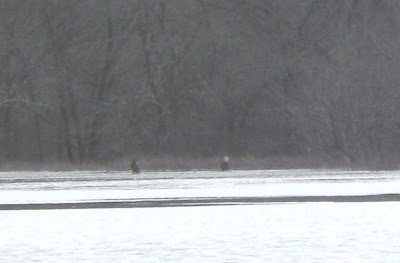 I live on the Sudbury river very near Sherman's Bridge and also saw a trio of eagles like you described. Quite magnificent!